SELASI Berdie is on a mission to make the world a healthier place. Two years ago the former Gold Coast Titans player opened the doors to BSKT café, a brand that has since become a staple within the Coast's booming lifestyle and health culture. In an effort to deliver what he calls 'delicious justice' to his customers, Berdie has now expanded from local café owner to national product distributor with the release of Cocowhip, the world's first vegan and bio-fermented coconut soft serve. Berdie has been thrilled by the public's response to Cocowhip, a product which uses only coconut water, organic coconut powder and vegetable-sourced stabilisers to create a dessert treat packed with nutrition. "We have so much untapped potential with the business we are now involved with," says Berdie. "Most people thought it would be a pipe dream to be able to create a vegan soft-serve ice cream, but we've been able to do that quite easily with the food technology and service we offer." Not only has Cocowhip become one of the healthiest ice-cream alternatives on the market, Berdie has it on good authority that his customers prefer the taste. 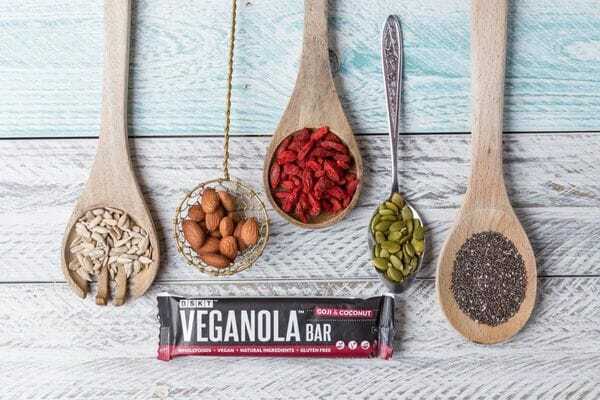 "Most people who are vegan have never had any type of product that they can say was both indulgent and good for you; we've been fortunate enough to provide that," he says. BSKT Café and Cocowhip's success has paved the way for Berdie to develop BSKT Wholefoods, a vegan health range which includes superfood bars, granola and chocolate. Berdie's previous background working in research and development for Bodyscience coupled with his love for the Gold Coast sports and fitness scene ultimately inspired the shift towards the wholefoods market. "When you're into sports you place a lot of focus on performance, energy and recovery, and I love being able to translate that across to what I do in everyday life," says Berdie. "The decision to establish on the Gold Coast was partly due to circumstance, but perhaps the biggest reason is that there probably isn't a better place to run this type of business, because everyone is fairly conscious about their health and most people exercise." Cocowhip and BSKT Wholefoods are now selling across Australia at major retailers including Priceline and IGA, in addition to several offshore locations including Singapore, Dubai and the United States. "Our goal is to be established in each continent around the world and to have a footprint where our products are readily available to anyone looking for them across Australia," says Berdie. "We have a lot that we're currently working on and as general technology improves so does our food technology, so we're very excited." For his entrepreneurial flair and business verve, Berdie won the Health & Fitness top spot at the 2015 Gold Coast Young Entrepreneur Awards, presented at Jupiters Casino last Friday.